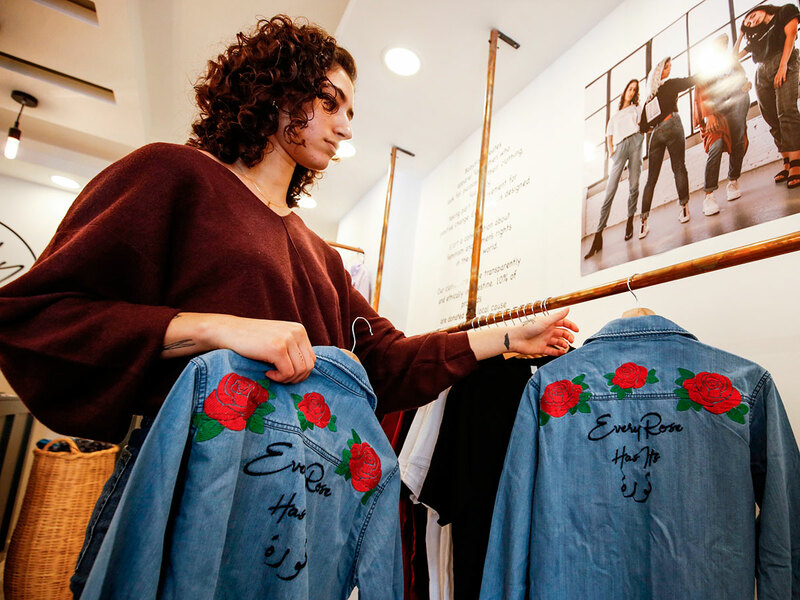 Ramallah: It’s only three words on a T-shirt or embroidered on a denim jacket in Palestinian designer Yasmeen Mjalli’s collection, but they carry a powerful message: “Not your habibti”, or darling. 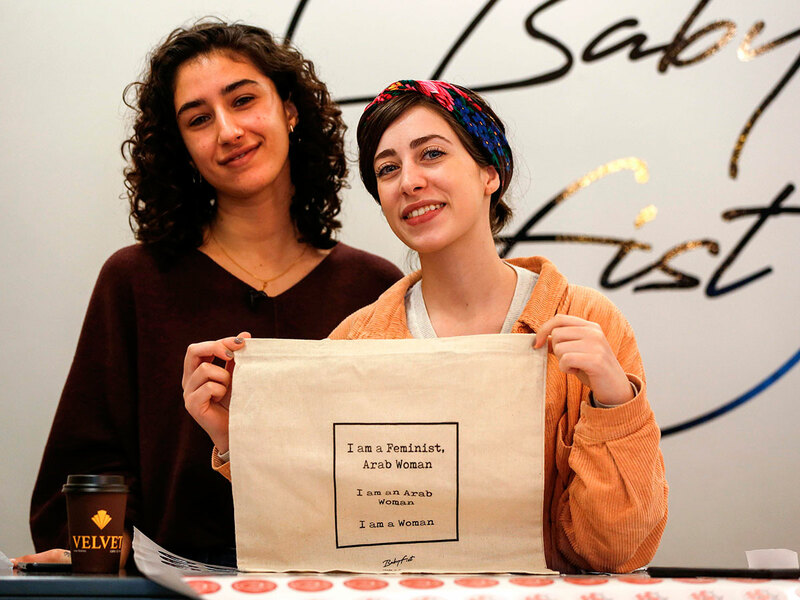 “I have experienced things like comments, really uncomfortable stares, the kind that make you feel very violated,” she said. “I have been assaulted in the streets, people touching me,” she adds, catching one tattooed arm in her other hand to mimic being grabbed. All BabyFist garments are made in the Occupied Territories. 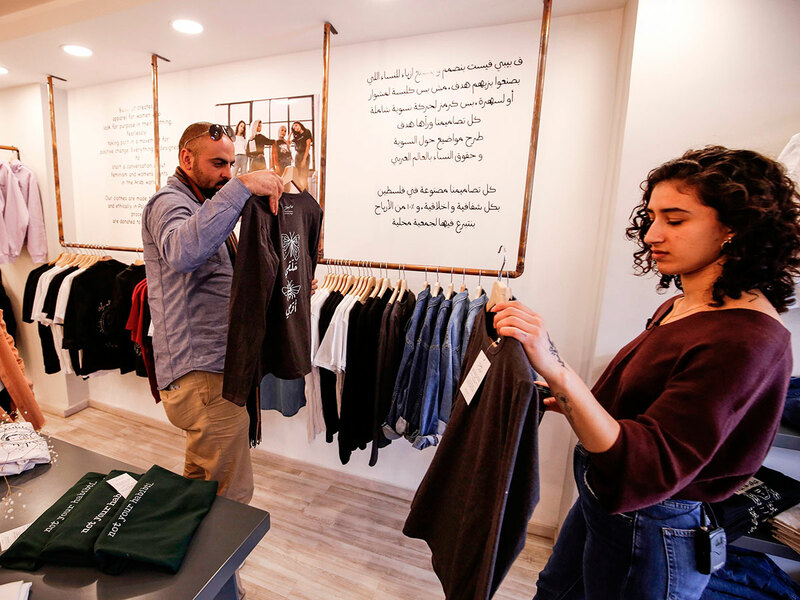 She says that around 40 per cent of her sales are made in the Ramallah store and 60 percent online, mostly to the Palestinian and broader Arab diaspora.